The biggest baddest fastest modifieds in the world invade the Dallas-Fort Worth area Friday and Saturday, March 2-3, for the next two rounds of Summit USMTS Winter Speedweeks presented by MSD Performance and a doubleheader of colossal events at two incredible Texas dirt tracks. The dirt-slinging demons of the Summit USMTS Southern Series light the fuse on Friday with the touring titans tackling the Kennedale Speedway Park in Kennedale, and then on Saturday it’s a skirmish at the super-fast Superbowl Speedway in Greenville. This will be the only swing through this area until the series returns to Kennedale on Thursday, Friday and Saturday, Nov. 1-3, for the inaugural Summit USMTS Southern Nationals. On Friday at the Kennedale Speedway Park, gates open at 5 p.m., hot laps start at 6:30 and racing begins at 7. Spectator tickets are $20, seniors are $15, kids ages 12-16 are $10 and children ages 11 and under get in for free. Pit passes are $35. Johnny Scott is a two-time winner in Kennedale with both victories coming in 2013. The series returned in 2017 with Zack VanderBeek walking away with the winner’s check. Friday’s payout: Licensed – 1. $3000, 2. $1600, 3. $1100, 4. $900, 5. $700, 6. $600, 7. $500, 8. $450, 9. $425, 10. $400, 11. $375, 12. $350, 13. $325, 14. $300, $275 to start, $90 tow; Non-Licensed – 1. $3000, 2. $1500, 3. $1000, 4. $700, 5. $600, 6. $500, 7. $400, 8. $375, 9. $350, 10. $325, 11. $300, 12. $275, 13. $250, $225 to start; $75 tow. Factory Stocks and Limited Mods will race for $750 to win and $75 to start. The Kennedale Speedway Park is a semi-banked 1/4-mile dirt oval located off of I-20 at exit 442-A, then 1.7 miles southeast on Mansfield Hwy., then 1.6 miles southwest on New Hope Rd., then 0.3 mile east on Hudson Village Creek Rd. For more information, call (817) 988-7433 or (817) 478-7223 or visit them online at www.raceksp.com. On Saturday at the Superbowl Speedway, gates open at 5 p.m., hot laps start at 7 and racing begins at 7:30. Spectator tickets are $20, seniors get in for $15, kids ages 12-16 are $10 and children 11 and under are free. Pit passes are $35. In three previous trips to the Superbowl Speedway, Johnny Scott and Stormy Scott captured wins in 2014 and the most recent winner, Cade Dillard, claimed the checkers in 2016. Two other events were scheduled but rained out. Saturday’s payout: Licensed –1. $3000, 2. $1700, 3. $1200, 4. $1000, 5. $800, 6. $700, 7. $600, 8. $500, 9. $450, 10. $400, 11. $375, 12. $350, 13. $325, $300 to start, $90 tow; Non-Licensed – 1. $3000, 2. $1500, 3. $100, 4. $800, 5. $700, 6. $600, 7. $500, 8. $450, 9. $400, 10. $350, 11. $325, 12. $300, 13. $275, $250 to start, $75 tow. The Superbowl Speedway is located 5.0 miles south of Greenville on SR 34, then west on FM 1903. For more information, call (903) 883-2504 or check out www.superbowlspeedway.com online. 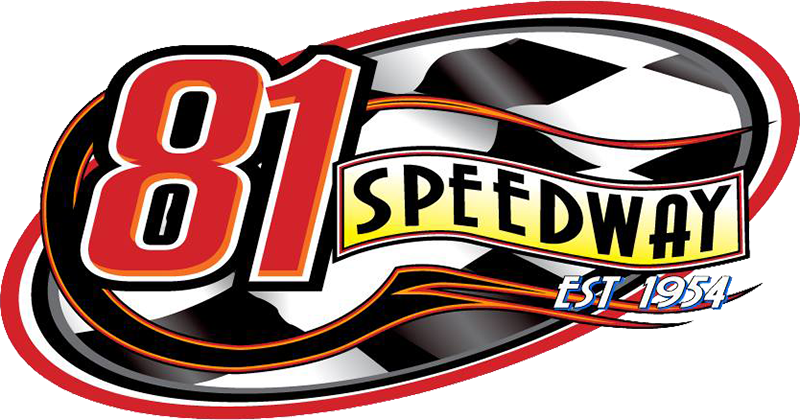 Originally scheduled for Thursday and postponed to Sunday, the event at the Grayson County Speedway in Bells, Texas, has been canceled due to too much rainfall creating unsafe track conditions for racing. Nineteen races are on the schedule for the Summit USMTS Southern Series and a driver’s best 15 performances will apply toward the final standings and year-end points funds. The Summit USMTS Southern Series champ is staring at a possible $5,000 payday at year’s end, and any driver that competes in at least 18 of the races is guaranteed to earn at least $1,000 in points fund money regardless of finishing position.